Talks with difficult students should not be several times a day. - Those students have been on the receiving end of daily “talking-to” for as long as they have been in school. So, when they see a teacher or principal approaching them every day with that same familiar look (usually a scowl), they roll their eyes -- “Here we go again!” They’ve heard it all. Teachers and school administrators should speak with them only as often as they do with any other student. Difficult students need to see themselves as capable of following school rules just like any other student. Talks with difficult students should be honest. - In a desperate attempt to improve behavior, many teachers will say just about anything to difficult students -- regardless of its truthfulness. However, trying to coerce students into behaving, when we are really not honest, is not fruitful. Neither is false praise, bribing, or any other form of manipulation. The most effective way to talk to difficult students is to give it to them straight. Talks with difficult students should be meaningful. - The best reason to talk to difficult students about their behavior is to point out a lesson that has been, or needs to be, learned. We keep asking them: “Why did you (or not) do this?” We keep forcing them to give us assurances and/or explanations. We keep lecturing them. Rather, we should let their mistakes and subsequent accountability (consequences), or their successes and subsequent good feelings, be the lesson. We educators mistakenly, and so often, ruin and weaken whatever lesson is learned with our “over involvement”. 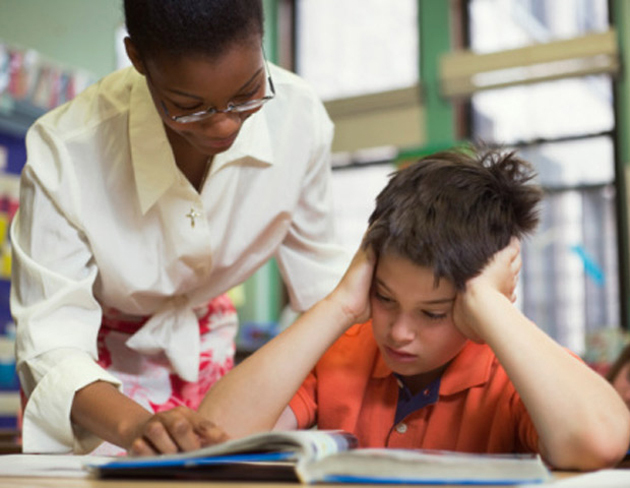 Talks with difficult students may be mute. - If a difficult student does something well or has a particularly good day, it’s often best not to say anything at all, unlike most former teachers who would all but throw a parade. By simply not making a big deal out of them when they do what they’re supposed to do, what they’re expected to do, we send a powerful, behavior-altering message. Talks with difficult students could be simple gestures. - If the student has good days at school, or makes noticeable improvement, and his/her behavior is “acceptable”, a simple thing like a high five or a knowing smile is impactful. It deepens the meaning of a positive lesson learned. And unlike silly, over-the-top celebrations that teachers like to give for moderate improvement, that student’s heart will soar -- internally. Talks with difficult students need to be “free of strings”. - Let’s not only talk to difficult students when we want something from them (i.e., improved behavior). To influence their behavior we need to build mutual, trusting rapport; that will only come with no strings attached. Why not show difficult students, no matter how difficult they can be, that we accept them? This way, when we do talk to them about their behavior, whatever we say will have powerful meaning to them. We spend so much time “correcting” difficult students -- perhaps because it makes us feel like we’re doing something (anything) to help improve the students’ behavior. We must figure that if we work hard enough on the problem, we’ll somehow come up with the right words to say, and be able to turn the student around. But, the more attention we give difficult students, the less attention they’ll pay to what we say and the harder it will be to improve their behavior. So, instead of constantly telling them how they “should? feel, what they “should” think, and what lessons they “should” be learning, let’s give them a chance to feel the weight of their own mistakes and the inner joy of their successes. Let them stand on their own two feet. Then, and only then, will the wellspring of change come bubbling up from where it matters…from within. These articles are in no way, whatsoever, intended to be comprehensive or complete. They are written and contributed in an effort to provide a "starting point" for valuable (and intriguing) discussion. Why discuss/ review students' learning capabilities and our current methods of trying to educate them? Educators, students, parents, and our community can learn from one another. I have the greatest respect and admiration for all educators, especially in Belize!